These savory baby back ribs are baked in the oven first, then quickly grilled until browned. Their taste makes you wish you made twice as much! 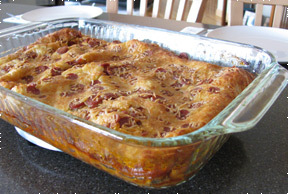 A creamy casserole perfect for leftover turkey or even chicken. 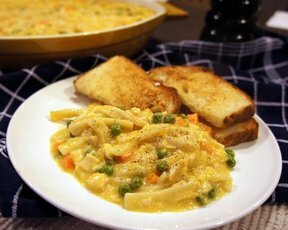 The peas and carrots add some sweetness and the frozen egg noodles keep their bite even during baking. 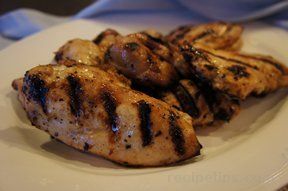 A tasty summer marinade that will keep that chicken moist and flavorful. The mix of seasonings is just the right touch. 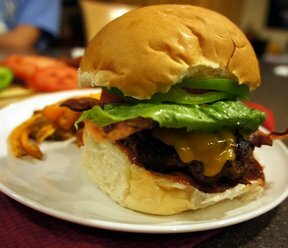 This hamburger is so full of flavor, you won't even need to add the toppings! Perfect grilled in the heat of the summer, but still great broiled when it's not quite so warm outside. This hotdish is the perfect weeknight meal that will please the kid in all of us. Add in your favorite pizza toppings to make it your own. Serve with a side salad and your meal is complete. 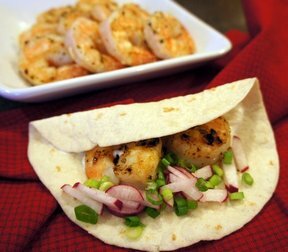 Grilled shrimp flavored with a packet of taco seasoning. Perfect to put inside of a flour tortilla and top with sour cream, radishes and onions. Spice it up with some jalapeno if you dare. A centerpiece for you holiday table and relatively budget friendly compared to the other holiday entrees. 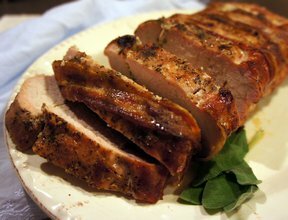 The bacon adds great flavor and keeps the pork moist. Serve with roasted potatoes.